It was a cool and misty evening when I walked home just after 8. I settled in restlessly and never got the boots off the feet. I slid out the door and trudged downtown. 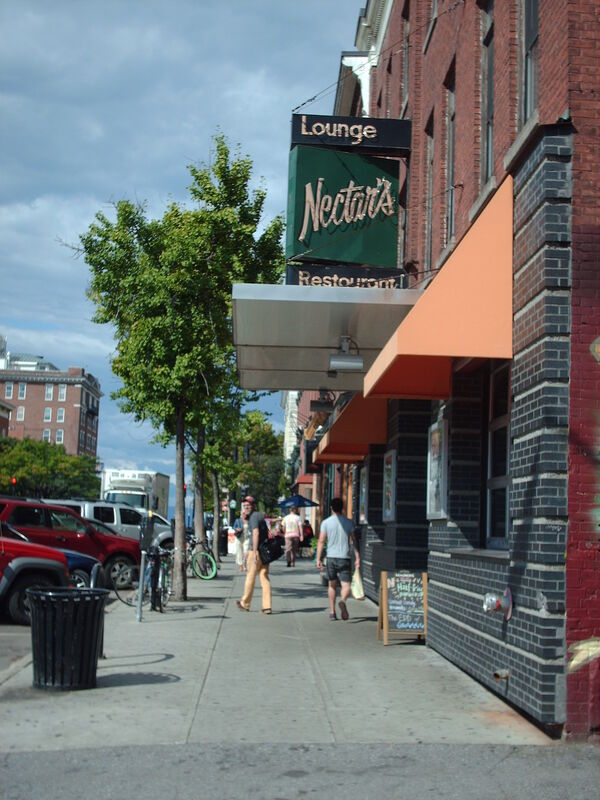 The rain had stopped but the air was full of moisture as I walked into Nectar’s and said Hello to Matthew Bryan Hagen. The lightly full room of metal heads freely gave their attention to Elephants of Scotland as the opening keyboard salvo of Endless (pt1) announced the arrival of the heavy progressive rock the Elephants do so well. The song rolled through it’s changes, and there were huge cheers as the first part concluded and eased up into the beginning of part 2. 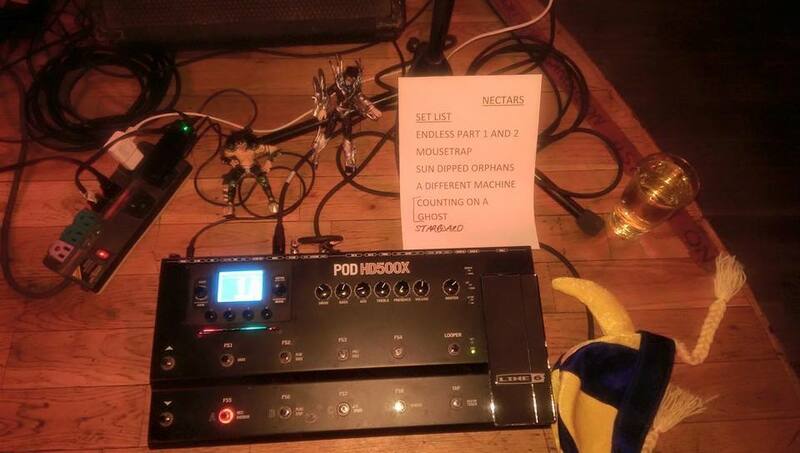 Mousetrap followed with it’s stomping verses and bright chorus. It always takes me a few listens to get to know an Elephants song, so I had a bit of a better handle on The Sun Dripped Orphans And The Wizard’s Teapot, having seen them play it last Thursday. Its dense multi-sectional runs became more of whole as I began to understand how all the pieces fit together. As much as I love their past, I’m really excited for their future. They followed with a killer super heavy A Different Machine, then scared us with another new one called Counting On A Ghost. Like Teapot, I liked it a lot more the second time around, and liked it a lot the first time I saw it. As they were the opening band, they only had a short time, so they kicked the night with the beautiful and powerful interstellar cruise that is Starboard. It was stellar and the crowd was very appreciative. Having not eaten since lunch, I grabbed some food in the break, which kept me there for the beginning of the next band, Brave the Vertigo. With two guitars, one of them singing, bass and drums, they lit into some heavy metal riffs. They had a bit of an Opeth feel when they varied songs from heavy to a more open acousticish sound, but after the Elephants careened through dozens of sections per song, Vertigo sounded a bit too straight forward. I hung out for four or five songs then took the long walk home. Puddles on the ground said it had recently rained, but I found a nice clear window for the walk. What a great night. If you only had $3 in your wallet and you wanted to rock out to three great bands, you really should have been at The Monkey House tonight, unless you where there, ’cause it was kind of packed. I got out of work at 9 and stepped carefully over the dark railroad bridge, then upped the speed along the tracks and headed into Winooski. I walked into the Monkey at 9:20 and there was no band on stage. Yea. I walked up to the bar and Isaiah had a drink poured and ready. I headed to the open space in front of the stage, and soon enough, Swale began to play. The sound was a bit off for the first 30 seconds or so, but the caring hands and ears of Alyssa Solomon had them sounding perfect moments after. They opened with a gorgeous Armadillo then let the music stray into the long opening strains of Waterlanding. The song swayed for a while then started to tighten up an built itself into a rocking monster, and you could just feel the excitement in the crowd Joyless started slow but was quite intense and Eric Olsen was ripping up the guitar by the end. This Is Not The Photograph had a really intense rhythm going on, and Beaten Down drew a strong audience reaction. Having Tyler Bolles on bass let them rock into overdrive as a power trio, with really intense drumming by Jeremy Frederick. Amanda Gustafson took the mic, and center stage, and belted out a killer cover of Rebel Girl. They kept a hard rock pace with Amanda killing it on Jack Sharp then mellowed things out with Good Medicine. By the end of that one Eric unleashed a towering guitar solo. They kept things rocking hard with Everyone Likes to, then closed the night with Maybe I’m Amazed. It’s such an appropriate song since I’m always amazed when I see and hear Swale. Always! During the break I ran into Sean Toohey and Ann Mindell and we talked about Burlington’s great musical past and that they have a bass player and something going on. My mind is still wondering about the possibilities. 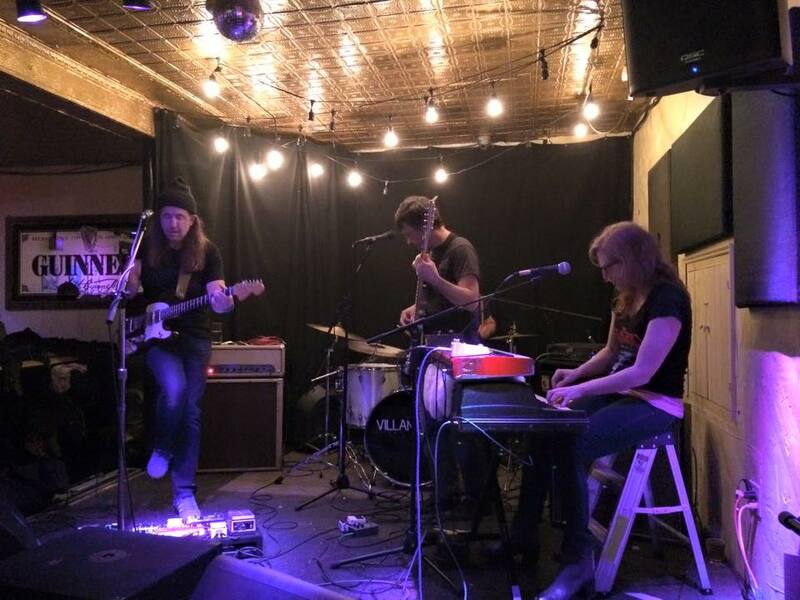 I easily got my $3 worth by seeing Swale but was psyched to catch the other two bands. Boston’s Hallelujah The Hills came on next and rocked the place hard. They are a five-piece with a singer/fat Les Paul guitar player, another rhythm guitar player, a super fun bass player, a wicked fast super precise drummer and a keyboard/trumpet player. The music was high energy indie rock. One song had a Clash bounciness and one had a hint of the Dropkick Murphys. All of the songs were good and it was challenge to really listen to them and try and find out where they were going. I usually think it’s foolish for bands to go on after Swale, but they held their own and put in a killer set. During the next break I got to chat with Maryse Smith and later Britt Shorter for a bit. 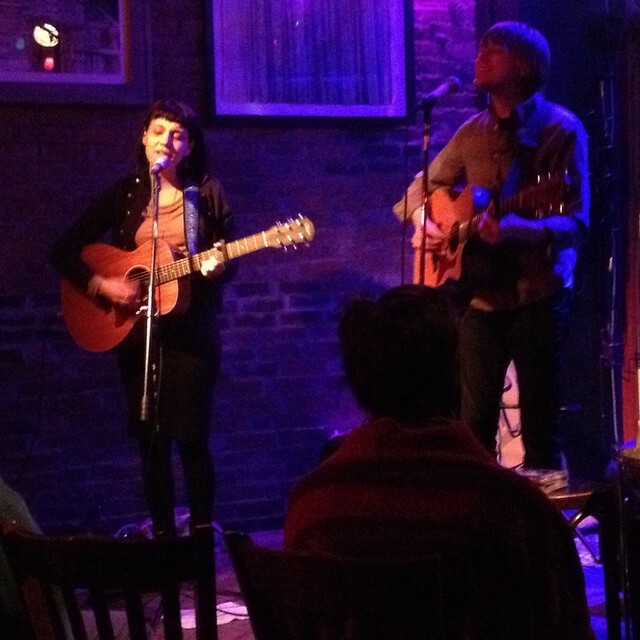 I love how musicians and people in the industry come out to support music in our town. After a quick break the Villanelles hit the stage with a fury. With a singer guitar player, bass player, super fast heavy hitting drummer and a keyboard player, they played some oddly beautifully structured indie rock or punk songs. The energy was super high from first note to last. It was a challenge to try and keep up with where the songs were taking me. They played an intense set of short but dense fast rocking songs and I loved every note. Their set was not super long but every moment was great. I’ve got to pay more attention to them soon. After they wrapped up I said a couple of good nights and took the long walk home. I’m so glad I put the effort in. 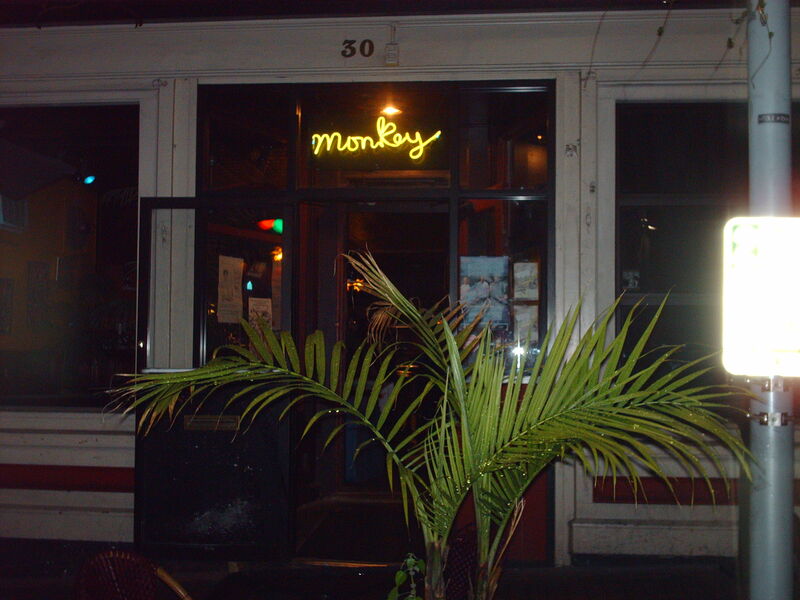 I had a great time seeing music at The Monkey House last night. Showtime was listed as 8:30, so as 8 I bundled up, grabbed the umbrella and walked through the chilly misty night to Winooski. I was walking a little slow but made it in the door of the club just about exactly on time. The band were set up onstage but were working out the kinks in the sound. I grabbed a drink and hung out for a bit, but soon it was time for the show. Elephants of Scotland hit the stage with a huge sound and rocked hard through Endless (pt1). They sounded great as they let it mellow out for the transition into part 2, which then rocked hard again. They followed with the mellow and dramatic Amber Waves, which really caught the audience’s attention. At the end of the song I noticed Christopher Larrow had arrived, and we chatted briefly until the band started up again. They played most of the first two albums, but also had two new ones for us. The one with the long title, maybe about a teapot, was really dense and had a lot of changes but the music would resolve into some sweet choruses now and then, and I really liked it a lot. The other new one, the scary song about a ghost, had a lot going on in it too. If those two are a reflection of where the third album is going to go, I think all of their fans are going to be happy. As much of an evolution as the second album was from the first, I think there will be another level jump to the third album. It’s so great watching bands grow. Late in the set they were not sure if they had more time, but they did. A tremendous trio of A Different Machine, Full Power, and Starboard wrapped the night in prog glory. What a fun show! Chris was tired and I kind of wanted to stay for Drakeville who were on next, but I was full of music too, and the offer of a ride home instead of staying and walking was too tempting, so I took the easy ride home. We prayed for the living and we prayed for the dead, and we prayed to the gods of The North. You know when you release your new CD and they put three rows of chairs in Radio Bean, almost turning it into a theater, and it’s packed to the back of the bar, and people are listening, and people bought out the first stack of CD’s and there were two or three left from the second stack, and you played a song in Spanish and the audience listened perfectly, and you played some old enchanting songs and you played some new enchanting songs and the audience was quietly appreciative, except for in between songs when we Whistled and yelled and clapped, and everyone in the room felt like it was a wonderful show? That’s how Hana Zara releases an album in this town. It just felt like she loved us madly and she treated us right, and we loved her madly and we treated her right. And Taylor Smith was great at the beginning and end too! Jon Stewart “Even Megyn Kelly, who was, prior to that desperately searching for answers, had the House intelligence committee chair Mike Rogers (R-MI) on her show two weeks after he released the Benghazi report, and never asked him about it once. Not bleeping once. Yes, the network who used the word Benghazi like a clubhouse password, the official Republican dominated House report on Benghazi was the only news story in two years that didn’t remind them to talk about Benghazi.